This is almost too grad-student a post for me to post. Did you know that Amazon Prime is free for a year with a dot-edu email address? 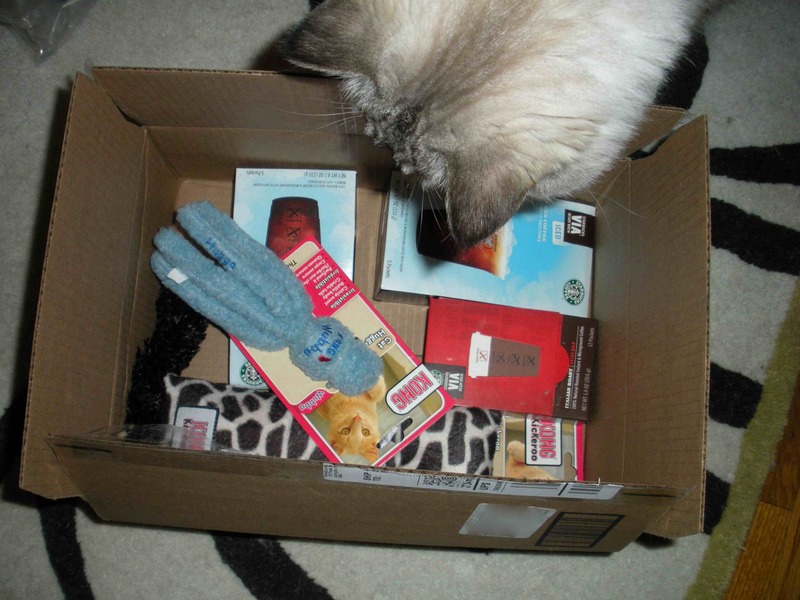 Well, this is what happens when you give free two-day shipping to an academic: a box full of yuppie instant coffee and cat toys. I’m ashamed, but Via is on sale and my cats are fat— catnip and caffeine, stimulants for everyone!